Milwaukee is wonderfully diverse in its dining options. Because of its German heritage, that's a great place to start when exploring the culinary landscape of the area. Of course, German food is incomplete without great beer. From giant breweries like Miller to a thriving craft brewing culture, and family-friendly beer gardens in parks, there's plenty to enjoy. 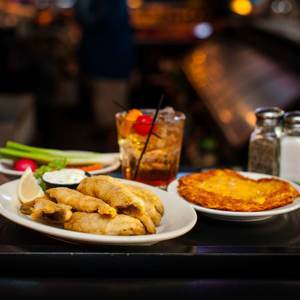 Once you're in the area, start asking around for the best Fish Fry - a Friday night tradition in Wisconsin. It will take some time to run out of new places to try, from huge banquet halls to fine dining restaurants to corner pubs and church basements. Everybody has a favorite, and you'll have a great time finding yours! Click the pictures below to find out a bit more about what's great to eat and drink in Milwaukee. 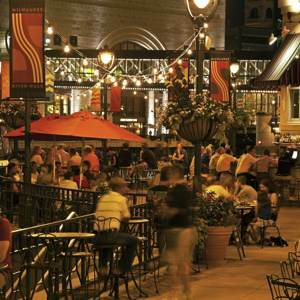 Water Street, Brady Street, Walker's Point, Downtown 'Tosa - there are many fun areas with active night life and great dining. 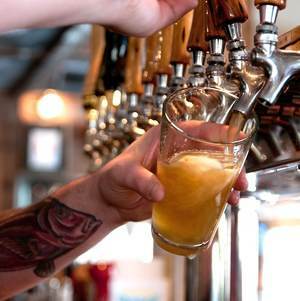 Craft breweries abound, but one of the best way to enjoy beer is to visit a Beer Garden. Start with the one at Estabrook Park. This is a cornerstone of Milwaukee and Wisconsin culture. 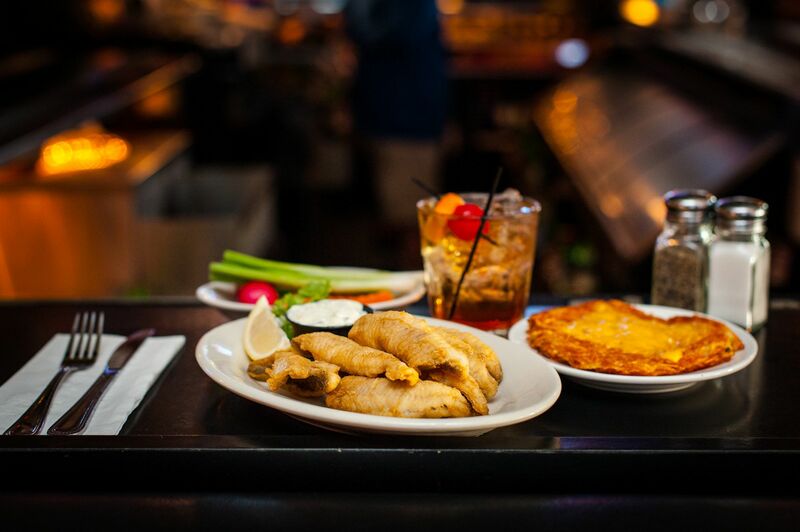 Perch and Walleye usually take center of the plate, but don't miss out on the potato pancakes and Old Fashions.